This is the economically-sized version of TriEnza. 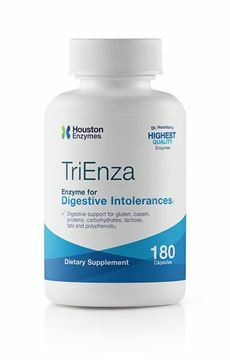 Contains 180 capsules of our broad-spectrum combination enzyme product. Approximately 1 mg. of cellulose and Medium chain triglyceride oil (MCT oil) per capsule is added for dust control. Natural pomegranate and raspberry flavor. Sweetened with fructose and monoammonium glycyrrhizinate (from licorice). Two (2) tablets are equivalent to 1 capsule. 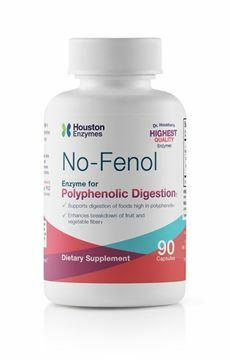 Contains cellulose and medium-chain triglyceride (MCT) oil for dust control of the enzyme powder. New label, same great formula! 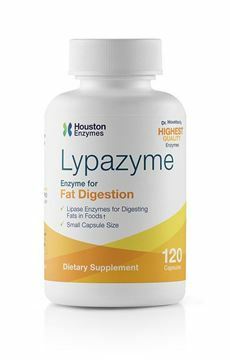 Lypazyme is a combination of 3 different lipase enzymes to better help complete breakdown of the triglyceride fats found in foods and many supplements. 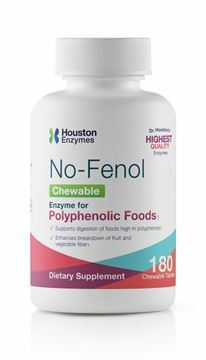 Using only one type of lipase may result in formation of mono- and di-triglycerides rather than complete breakdown into nutritional short-chain fatty acids.